Munich, Marktschellenberg (June 10, 2014 10h). Good news from the cave, the injured party is doing better, he can move and stand up. This will facilitate the rescue, because he can help. 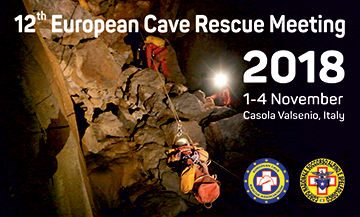 The operations management “cave” was taken over by the chairman of the cave rescue association Germany (HRVD), Nils Bräunig. He is also closely linked with the European Cave Rescue Association (ECRA). The auxiliary supply of the ECRA was adopted. Italian cave rescuers are already in use, Croats and Slovenes could be alarmed. Thank you all for your support. The rescue teams now set up five places a bivouac. Then injuries of bivouac is transported to bivouac. The rescue will still take days.